This course run by The Prince’s School of Traditional Arts, supported by the Bagri Foundation, aims to provide an introduction to South Asian Block Printing and Textile Design tradition. 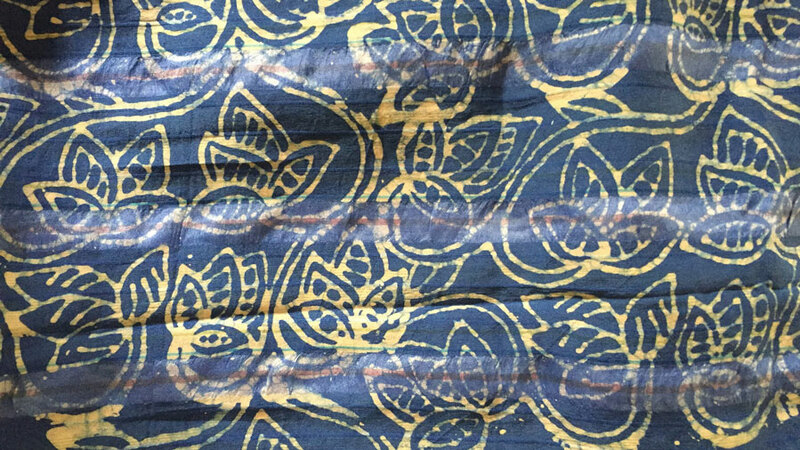 Tasleema Alam will discuss natural dyes and the processes involved in the printing, and demonstrate how to design motifs and carve into a block. While Block Printing and Textile Design tradition can be found throughout South Asia, the regional focus on this course will be Dhaka and its textile heritage. The preparation of natural dyes from the region and application of colour onto fabric will be covered. Participants will leave the course with a good understanding of how block patterns are generated to print patterns on textiles using the natural dyes that were available to locals. Tasleema is an Artist, Designer, and Educator known for her dynamic experimental work in Islamic and Oriental art, with a special interest in illumination. In 2005, she left a successful career in the City of London in corporate banking and energy, to pursue a career in art. She began with a foundation course and ended with a Masters in Visual Islamic and Traditional Arts from The Prince’s School of Traditional Arts. She is trained in the Moroccan technique of Zouaq and pattern designing. She composed a Moroccan ceiling, which received publicity both in satellite media and BBC Radio 4 during her degree show.